what is its purpose? a line comes off the back of the carb and goes to this. Early Trans Am? The Trans Ams with cowl induction use a vacuum sensor to open and close the flap in the hood. "VAC SENSOR" on the diagram is for the ECM. It's also called the MAP sensor (manifold absolute pressure). It is located physically just below the windshield cowl near the brake booster. It tells the ECM how much vacuum the engine is generating in the intake manifold, which is a measure of relative engine load. The thing that works the cowl hood isn't a "sensor"; it's a motor. A diaphragm like the ones in the HVAC system and the brake booster. Since it's a "car" accessory, and not part of the "engine" as such, it's not on that diagram. I have installed a non computer q jet, because it is part of the ecm it is not needed?? 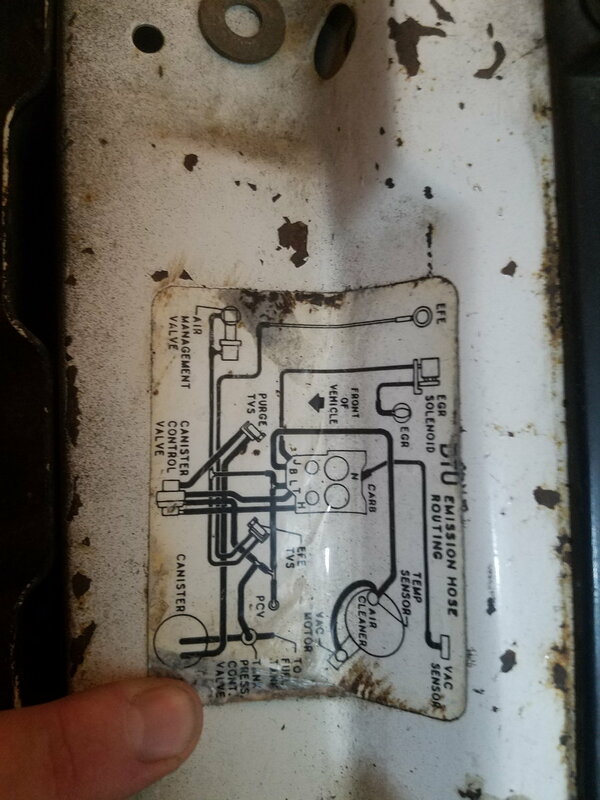 since you installed a old style non computer controlled carb then the MAP will not effect the carb but I would hook up that manifold vac line just in case the computer may throw codes and effect other engine management .. not all that difficult to put back. on my 84 H 305 the Map sensor plastic tube was leaking at the map rubber boot caused the engine to run odd.. I planned on unplugging the ecm so I dont have a check engine light. By swapping to a manual carb, the ECM is not going to control it's other functions as designed (distributor advance, torque converter lockup, etc). You can't just remove half of the system - you have to go all the way or get the entire system working as intended. CCC ques: Is there a way to test the MAP (vac) sensor? Can Vac Pump be used as as Vac Guage ?? Guy's what size vac hose do you have running off of your map sensor?